Model S and X owners with no Autopilot Convenience Features but with capable hardware are starting to receive a notification for a 1 month free trial membership. Once the trial is coming to an end, they will receive an e-mail offer to enable this OTA software for $3,000. 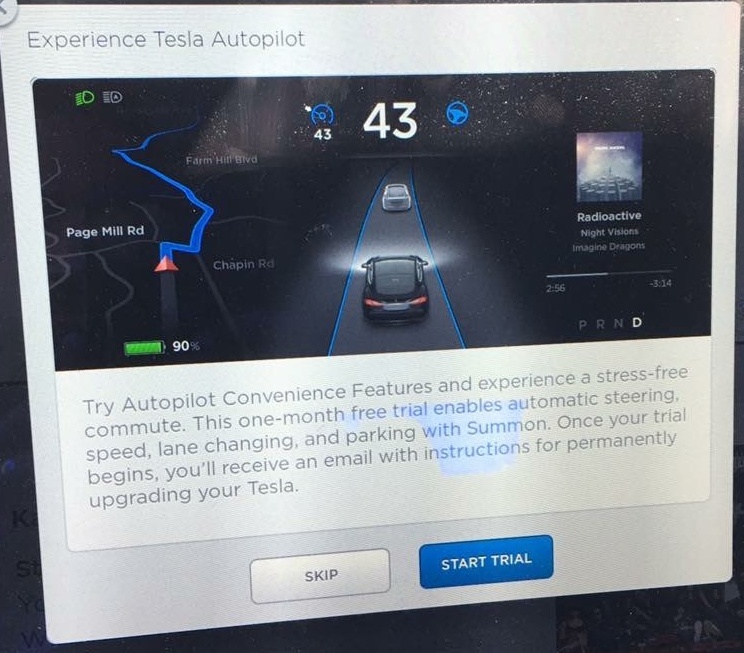 Autopilot hardware has been an optional feature on the new Model S from September 2014 for $2,500.